One of the nicest people in the Middle East automotive industry has to be Samir Cherfan, Managing Director Nissan Middle East…a positive down to earth and yet dynamic individual, he is confident and a visionary which is why it was a delight to listen to him last week over lunch talking about Nissan Middle East the 26.2% rise in sales for the 2012 financial year (FY2012) ending 31 March 2013 and what the brand hopes to achieve in the future. The brand outperformed the overall market trend by 1.1%, following a year of award-winning brand building activities during which five new exciting and innovative models were launched. Nissan Middle East achieved 14.4%* market share, up 0.1% on FY2011. The performance has led Nissan to predict positive growth 2013 in the Middle East during which it is forecasting a minimum 11.1% rise in sales against expected market growth of 5%*. 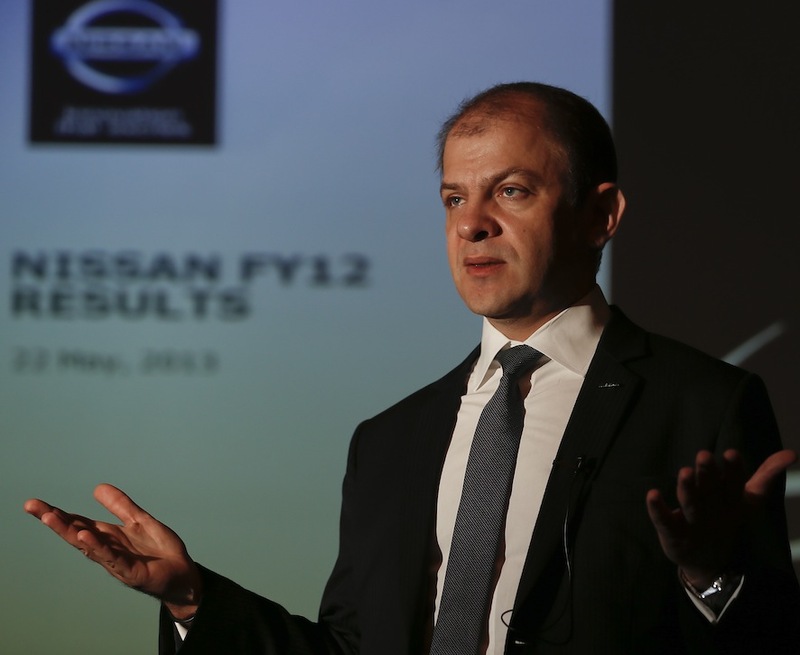 By the close of FY2013, Nissan Middle East expects a market share across the region to be 15.2%. Nissan will enjoy full years sale of the new models introduced in FY2012, which are expected to play a major part in increasing market share. Its leadership in the B/C segment was reinforced with the introduction of an all-new name to arguably the most competitive of segments, the Nissan Sentra small-sedan. In the first 50 days of its availability, nearly 1,500 Sentras were sold, reinforcing Nissan’s position as segment leader. If you travel as much as I do, you will note that to support Power 88, Nissan launched its first global brand campaign in FY2012, supported in the Middle East with a multi-million dollar campaign in Dubai International Airport. With artwork strategically placed at over 70 chosen locations across the airport, the Nissan brand message will be delivered to all of the 64 million travellers passing through each year. . Fittingly for the Middle East’s most visible brand campaign, it also achieved a Guinness World Record with the accompanying production of the world’s largest indoor illuminated advertising sign – over 174 square meters…check it out the next time you are at Dubai airport. With a proud racing heritage, Nissan Middle East also escalated its motorsport activity in FY2012. In October 2012 Nissan introduced the unique and highly successful GT Academy to the region, prompting thousands of entrants to compete to fulfil their dreams of turning ‘virtual to reality’ and transforming computer console gaming skills into a career as a professional racing driver. Its support of the region’s most iconic race, the Abu Dhabi Desert Challenge, also reached new heights with the sponsorship of Yahya and Mansoor Belhelei. Samir also mentioned to me that for the high-end cars, they also customise cars according to individual tastes … most discerning buyers I know value this so I hope 2013 is also a great year for Nissan with more premium clients knocking on their doors.